It's been a little while between visits so it's time to redress the situation. 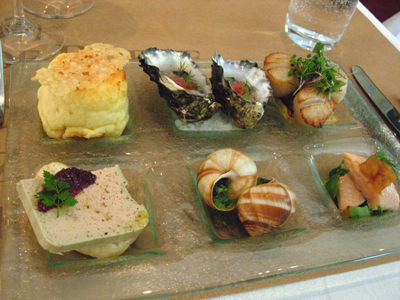 I did manage to nibble on a few of these - Paalo generously handing over one of those fantastic scallops. 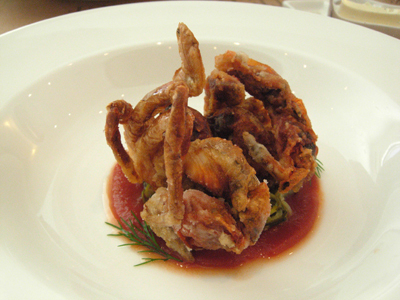 I just love soft shell crab and this was an exceptionally good specimen - a great combination of crisped shell and fleshy interior, the smoked tomato gazpacho is quite special. 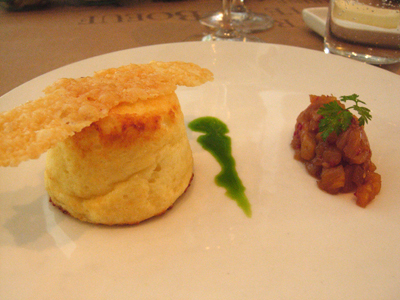 The fantastic presentation is equalled by the taste. 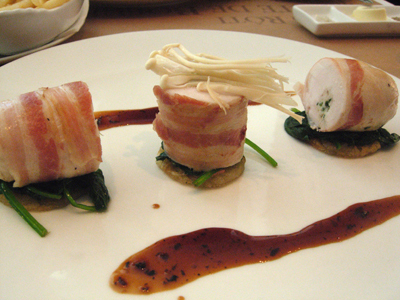 The chicken breast is stuffed and rolled, served in thirds that sit on small potato roesti rounds. 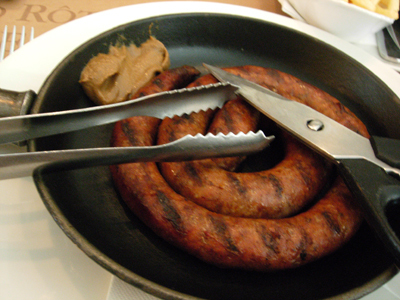 This comes served with pommes frittes and scissors to cut through those excellent meaty sausages.